Frigid conditions complicated the response late Wednesday. 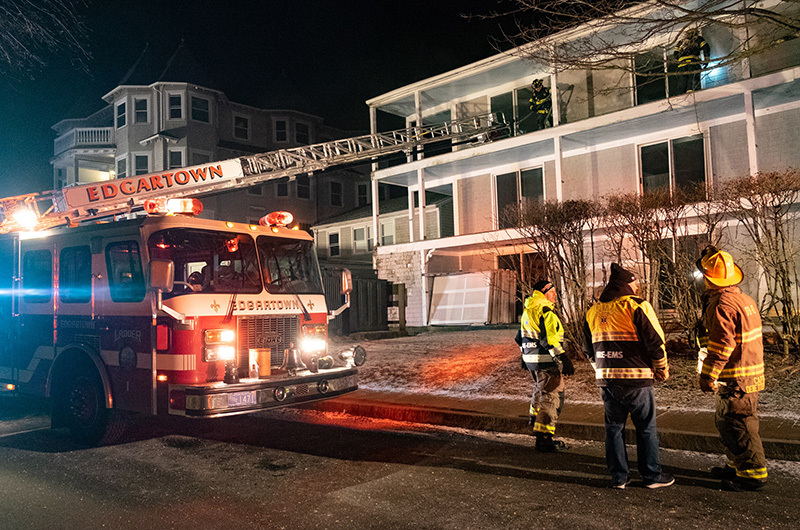 Edgartown firefighters responded to a fire at the Harbor View Hotel late Wednesday evening and found a stubborn, smoky blaze in a building behind the main hotel structure. Oak Bluffs and West Tisbury firefighters also responded. The fire started in the part of the hotel know as the Mayhew building, Edgartown fire chief Alex Schaeffer said. The hotel is closed for the winter for major renovations under new ownership. An automated fire alarm call came in just after 11 p.m. Wednesday, indicating the building’s sprinkler system was activated. But sprinklers could not reach the flames as they spread inside the walls of the first, second, and third floors of the building. “It was more of a smoldering effect,” Chief Schaeffer said. “It was contained within the walls where most of the sprinkler system is ineffective. It required an extensive amount of overhaul, where we had to pull down ceilings and walls to find the point of origin. He said six rooms were extensively damaged by fire, with smoke damage extending to common hallways. Chief Schaeffer said his department recently staged a drill at the building, which helped firefighters position the first equipment that arrived on the scene. Frigid weather was a factor, with temperatures around 10 degrees and falling at the time the fire began. 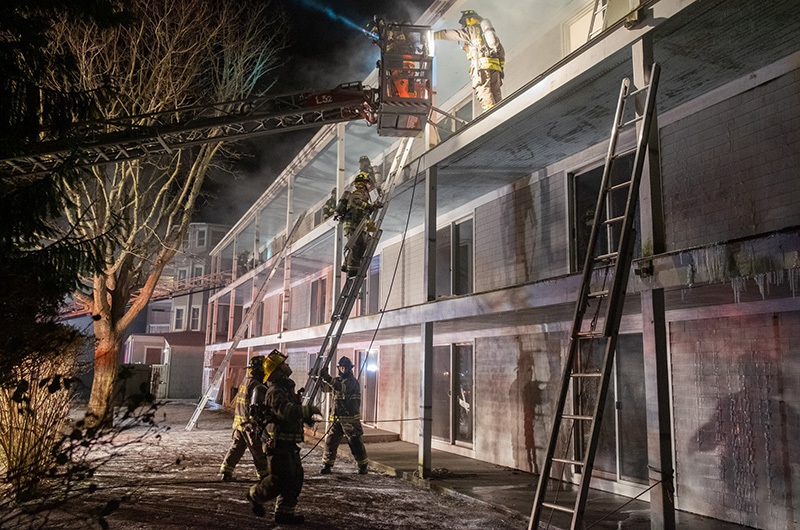 The Massachusetts state fire marshal was called in to investigate the cause of the fire. Investigators were at work Thursday morning. Icicles hung off the room balconies and signs were posted by the fire marshal barring entry to the building. “It’s still under investigation, but we can say they’re is no cause for belief of any kind of criminal activity,” Chief Schaeffer said. Hotel management issued a statement Thursday.